Nanotechnology manufacturers seeking ways to measure and analyze nanoparticles now have a simple, fast, accurate and cost-effective tool thanks to the recent release of NanoMet by developer FullScaleNANO. NanoMet is a simple user-friendly program that provides detailed analysis of nanomaterials in a matter of seconds. Users upload nanoparticle imagery (captured by an electron microscope), guide the software in two easy steps, then run the program. In seconds, NanoMet delivers histograms, detailed measurements and a thorough analysis of the user’s images in a PDF report. NanoMet is available for the first time as a cloud based application that can run analysis anywhere at any time. 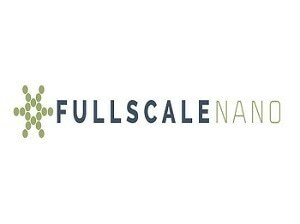 FullScaleNANO, the Tallahassee based company that developed the NanoMet software, originally managed analysis and client reporting for each nanoparticle image submitted. FullScaleNANO believes the new licensing option will benefit nanotechnology companies by giving them a simple way to handle their own analysis. Measurements of nanoparticles are easier, faster, less costly, and more frequent using NanoMet. By licensing our software, we help nanotechnology customers develop new products by giving them a simple, fast, data-rich analysis tool. Companies will now be able to run their own reports in a timely and cost-effective manner. NanoMet is even fun to use. To learn more about FullScaleNANO and its NanoMet software, visit their website where software demonstrations and pricing options are available.